Not something I came up with but found on the internet. There were a few different ways to make this design. 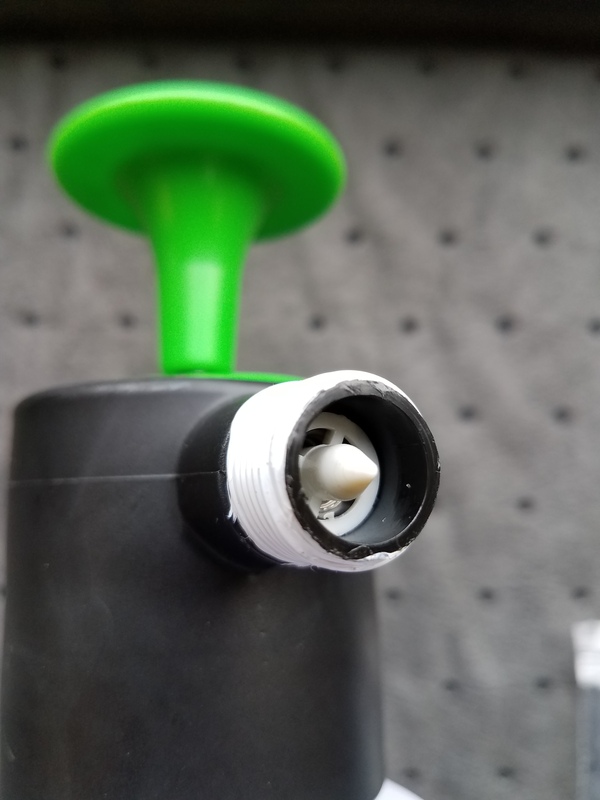 From what I read most of the designs caused the trigger on the hand pump sprayer to not work anymore. 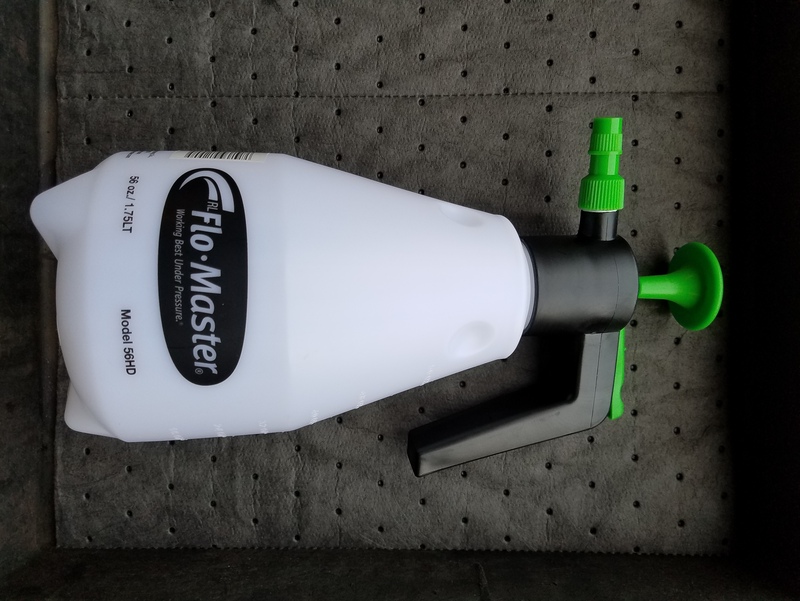 This RL Flo Master Model 56HD sprayer might have been updated. 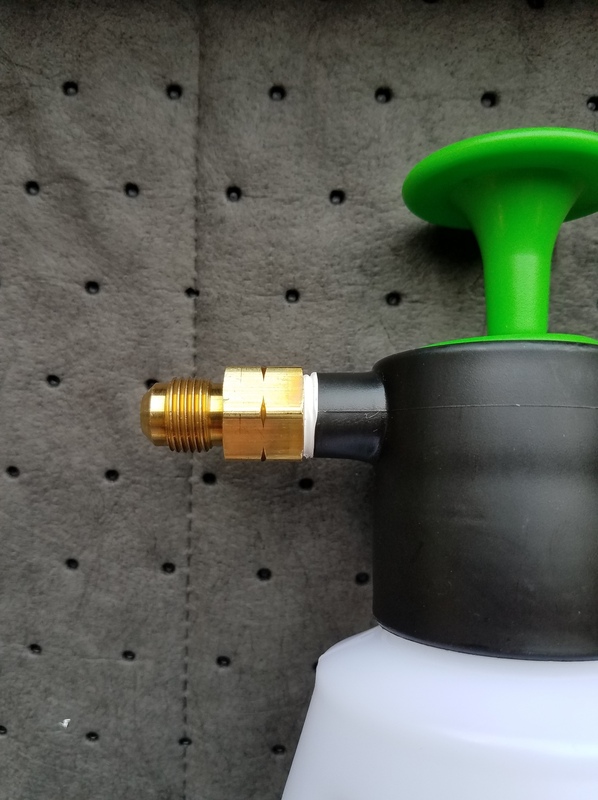 Some builds show using a 3/8" FL x 3/8" FIP fitting between the sprayer and firestone ball lock post and some show using just the post connected to the sprayer. 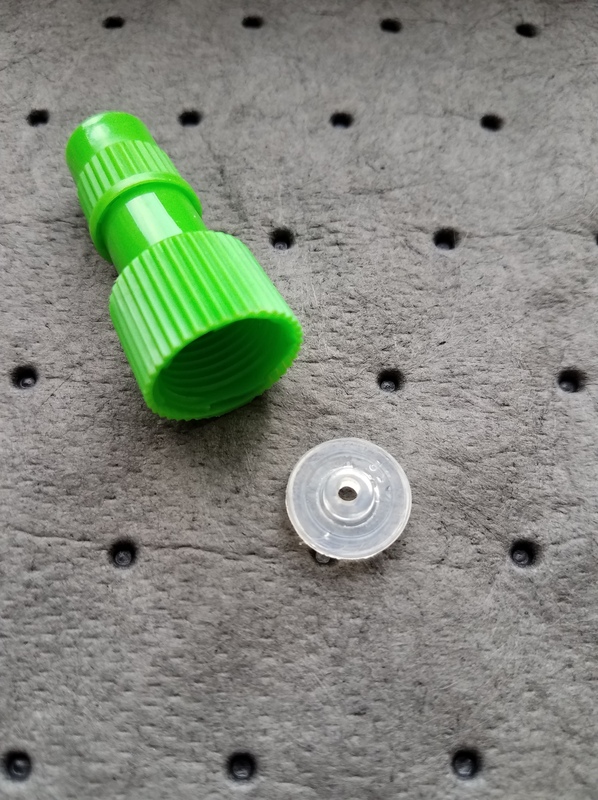 There is a washer on the inside of the nozzle that a needle presses against to stop the flow. 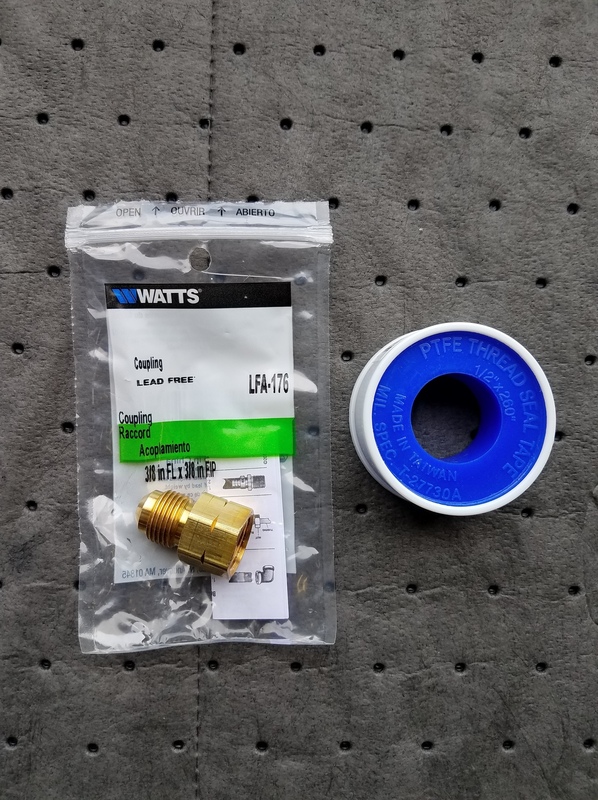 I transferred that washer into the brass fitting at carefully tightened the fitting onto the plastic spray bottle with some thread tape. 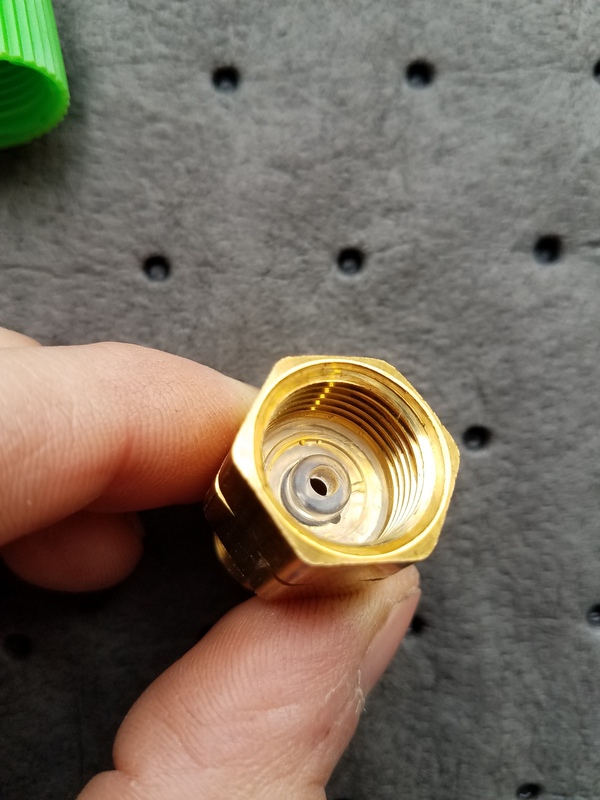 The firestone liquid post will then screw onto the brass fitting again with some thread tape. 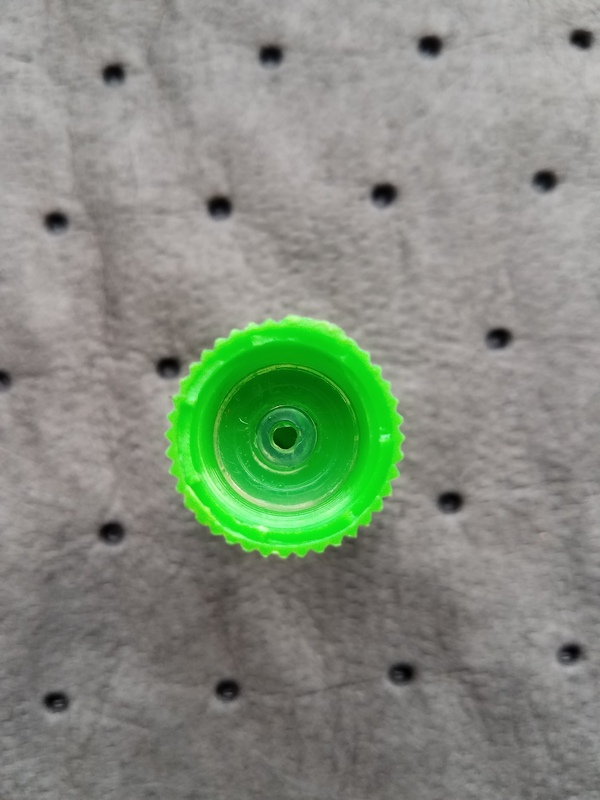 I don't have the poppet or o ring on the post in the photo. Ingenious! I have always just put some BLC in a keg, pressurized it and ran it through. Wastes some CO2 though. Thanks. I didn't come up with it just thought I'd post my attempt at the build. I don't have long keg lines but the capacity might be a little low for someone with multiple long runs. @uberculture I feel like an idiot I totally didn't see your post. I swear I used the searched for similar topics. Also this forum rarely shows up under a Google search. No worries! 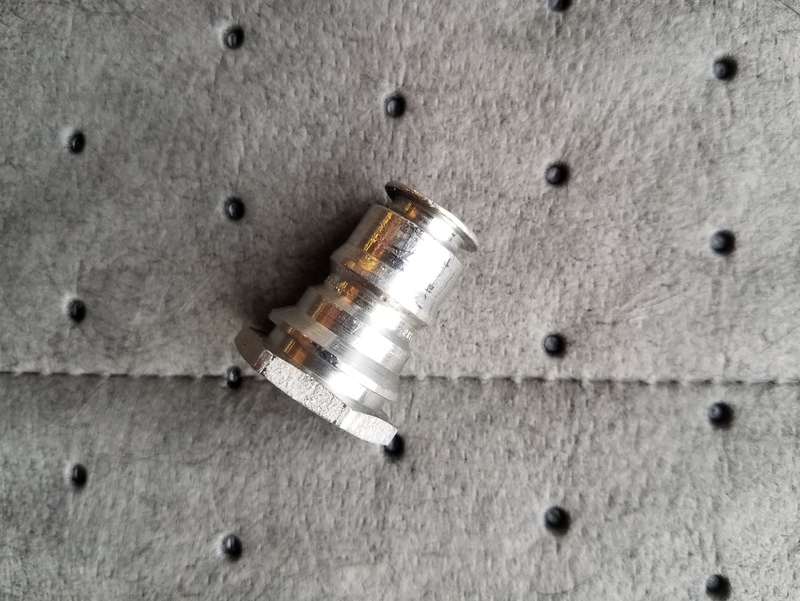 You have a better parts list, and great photos of the assembly. I built a line cleaner using a pond pump to recirculate the cleaner. Really really simple build and I can just turn it on and do something else. 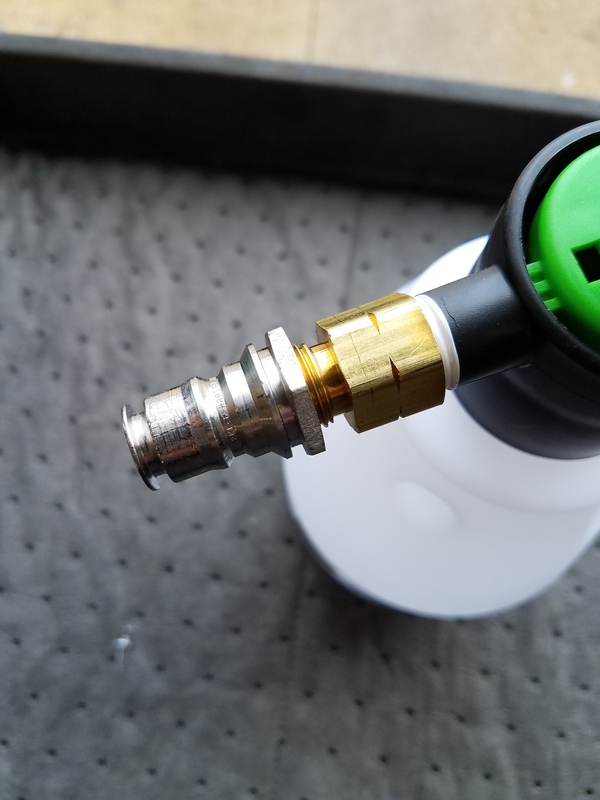 Does your sprayer bottle have a strong odor to it? Wondering if I bought one someone returned or if that's what it smells like. No smell that I noticed... maybe just plastics.